This REAL CHALK post was delivered to our subscribers via email and is being archived here. This newsletter message is a revisit to our post GIVE YOUR STUDENTS THE GIFT OF ROUTINES. In my very first graduate class for my MAT, I was assigned a short paper, to be titled “The History of My Education.” That little essay turned out to be quite enlightening. All this had to be challenging, right? Yet. I absolutely LOVED school. SCHOOL. The generic version. As in big yellow buses, metal lunch boxes, new spiral notebooks and freshly sharpened pencils. SCHOOL. With all the shared rituals and routines and objects that make five very different places more or less all the same familiar place in my childhood memory. Third grade was a highlight. There was this cabinet. It seemed to reach all the way to the ceiling. And when a student opened it, there were stacks and stacks of canary yellow lined paper. We kids were allowed to freely take that paper as we needed it, for all our school work. The cabinet was always neatly filled to the brim, and it always cheered me. Mind you. I wasn’t a poor kid. I always had lots of school supplies. So, it wasn’t about the actual paper. It was a great abundance, to be sure, but more than that, there was just something about the RELIABILITY of the thing. They like to know what to expect and even more so, what is expected. What I loved about that paper cabinet was the “knownness” of it. No surprises. Every time, the same result. One of the best ways to create an effective and well-functioning classroom is to be utterly boring in your actions and reactions, especially in your consistent responses to student behaviors. Reliable. Like that cabinet of paper. This means you create clear and consistent classroom rules, expectations and routines. Then STICK to them, without wavering, day after day. One piece of the same yellow paper on top of another, again and again and again. If you do so, eventually, your classroom simply manages itself. At first, this takes more repetition and patience than seems humanly possible. However, if you consistently show your students that, no matter how many times they open the metaphorical cabinet, it will ALWAYS be yellow paper, they will soon take you at your word that you MEAN it when you introduce any routine or expectation. This may sound mind numbingly dull to you as an adult. You might be one of those teachers who likes to surprise your class and keep things exciting. I am all for that. In your lessons. NOT your management. They need your rules, your classroom routines and especially your high expectations, coupled with genuine, earned praise. Students thrive when there is a safe home base. After all, classroom management, in the end, isn’t for the teacher, though it certainly makes your life more bearable. Classroom management is FOR your students. They are counting on you. Bore them. They will love you for it. * Wondering what cities? Kindergarten in Nashville, TN; 1st in Clarksville, TN; 2nd in Lafayette, IN; 3rd in Kokomo, IN; 4th in Elk Grove, IL. 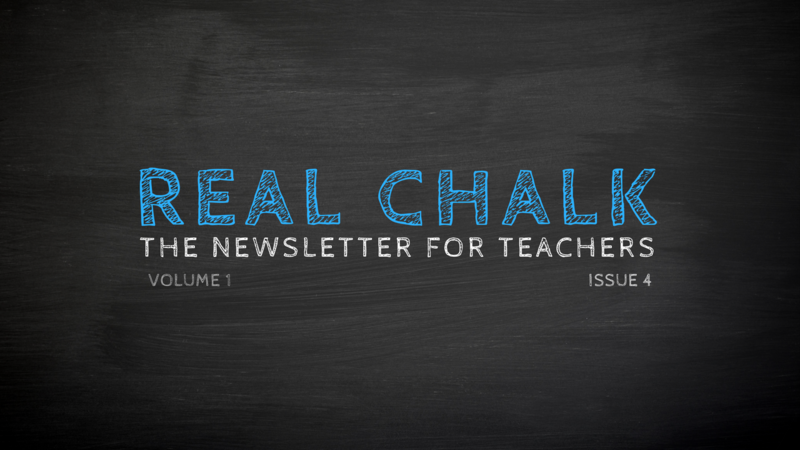 Get REAL CHALK, our Newsletter for Teachers! Join our mailing list to receive the latest Newsletters and updates. Get our newsletter REAL CHALK for Teachers! Stay connected with Optimized Educator!